The topic of leadership development is usually one of the top three categories of questions that ChurchWorld leaders ask when I am consulting with them. It was a question I always had in the 23+ years I served on a church staff; it’s been a recurring question over the last 7+ years I have been serving as a church development consultant. I also suspect it will be around as long as we have people in our churches! I don’t have the definitive answer, but I do have an excellent resource on all things leadership: the wisdom and writings of John Maxwell. From his foundational service as a pastor to the founding of EQUIP, Maxwell’s leadership lessons have enlightened corporate CEOs, foreign government leaders, non-profit leaders – and countless ChurchWorld leaders just like you. 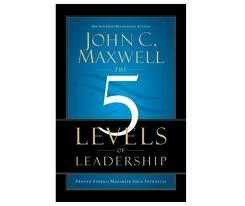 Maxwell’s book is dedicated to understanding, and developing, the 5 Levels. Each section gives you the opportunity to learn the upside – and downside of that level; the best behaviors for that level; the beliefs that help a leader move up to the next level, and how that level ties into Maxwell’s “Laws of Leadership.” Each section then concludes with a growth guide for that level. Beginning tomorrow and continuing for the next 5 days, I will pull out the highlights of John Maxwell’s 5 Levels of Leadership in his own words. I hope that will entice you to pick up a copy and dive into on your own! As for me, the next time a ChurchWorld leader asks “How can I develop leaders in my church?” I will simply pull out my Kindle and invite that leader for a discussion around the 5 Levels. This entry was posted in Leadership, Personal Development and tagged John Maxwell, leadership, Leadership Development, The 5 Levels of Leadership. Bookmark the permalink.